In 1976, 1977 and 1979, Daniel Campagna was a Formula Ford racer in Quebec. He made some significant motoring inventions, including the Voodoo in 1982. As part of the technical team for Formula 1 racer Gilles Villeneuve[when? 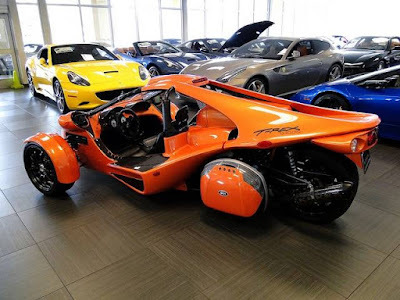 ], he handcrafted his first model of the T-Rex and subsequently founded his own company, Campagna Moto Sport Inc. in 1990. He brought together a production team and the prototype vehicle was finalized a few years later. From 1994 to 2000, the T-REX was only available in Quebec, but since the early 2000s it has been sold in the rest of Canada and the United States. In June 2004, the company was facing financial difficulties and it granted exclusive worldwide license to manufacture and sell the T-Rex to T-Rex Vehicles Inc. Due to this arrangement, the company claims that production costs have been reduced by 20% without much difficulty. 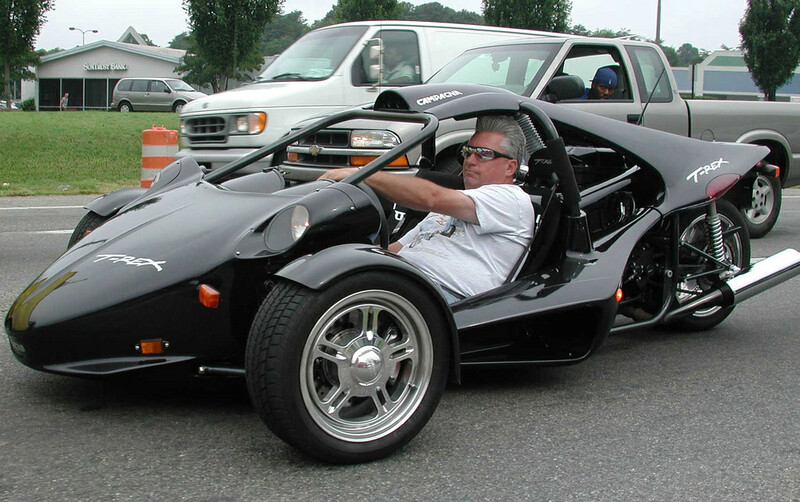 In 2001 the T-REX entered the U.S. market, including California CARB certification by 2002. In spring of 2008, T-Rex Vehicles Inc. declared bankruptcy. The company's assets were acquired later that year by André Morissette and David Neault of Campagna Motors. In January 2009, Campagna Motors announced the relocation of their Plessisville, Quebec plant to Boucherville, Quebec to be closer to Montreal. Since July, 2009, the company has 23 employees producing two to three T-Rex vehicles per week. The trike company and model Cirbin V13R was bought by the company, and since 2011 it offered the V13R model. 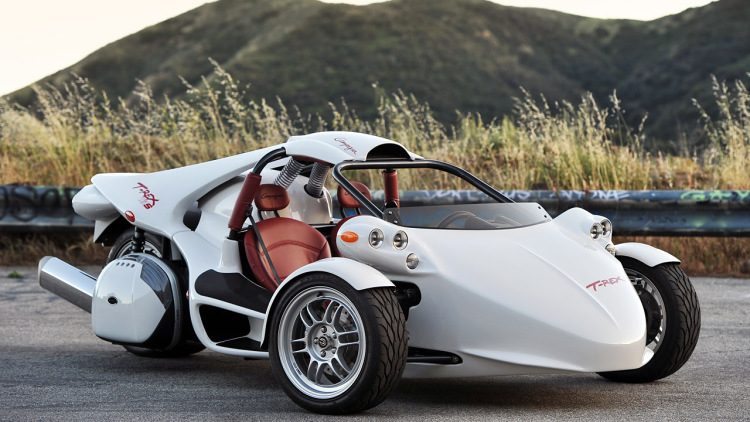 As of 2016 the T-REX was still in production, and since 2011 the company also offered the V13R. Most sales are in Quebec, Canada, and the biggest export market has been the Middle East.